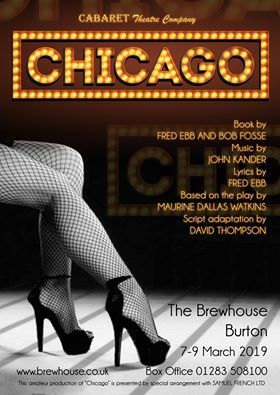 Promo: Chicago by Cabaret Theatre Company. The Brewhouse Burton 7-9th March 2019 – East Midlands Theatre. Suitable for 14yrs+. Younger children at parent’s discretion. Review: Sleeping Beauty. St Petersburg Classic Ballet. TRCH Nottingham.